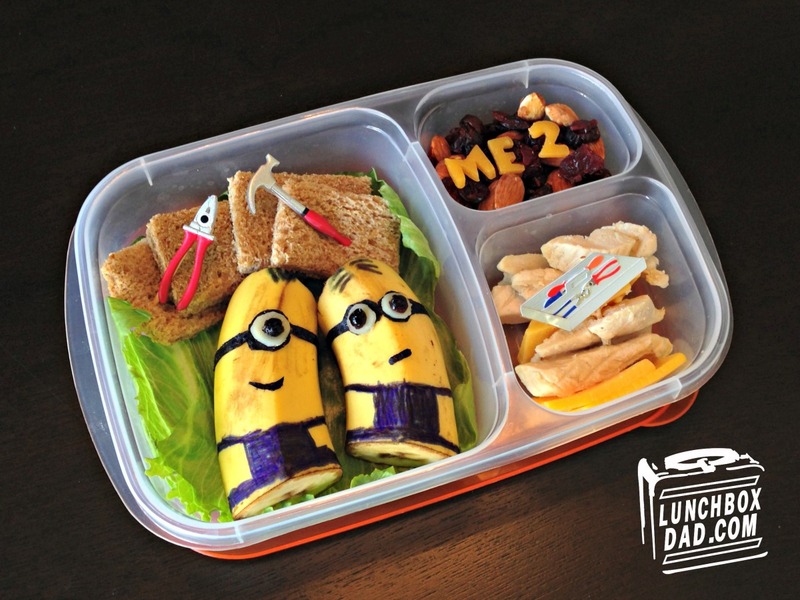 Lunchbox Dad: Lunchbox Dad and the San Francisco Bay Area are Going Bananas! Lunchbox Dad and the San Francisco Bay Area are Going Bananas! Disclosure: This is a sponsored post, in conjunction with Dole. I received compensation for participating in this promotion. If you haven't figured it out by now, we are big fans of fresh fruit and vegetables in my house. Especially bananas. Seriously, we can never keep enough of them around. I eat them on the way to work, my wife throws them in the blender for smoothies, and we even mash them up for our youngest. There's a reason my favorite internet meme is #bananaforscale. Yes, my friend Andy over at HowToBeADad.com coined it but it is also about...bananas. My blog has always been about trying new ways to get my kids to eat fruits and vegetables. My daughter's Kindergarten teacher encouraged it and we ran with it. So when Dole asked me if I was interested in partnering with them for their new Peel the Love tour, I jumped at the chance. I turn down 95% of the offers I get for my blog, but this was a perfect fit. I am not exaggerating when I say If I had to live on one fruit for the rest of my life, it would be bananas. They are healthy, taste good, and perfect for on the go. I am not saying this because I have to, I literally have been telling people this for years. 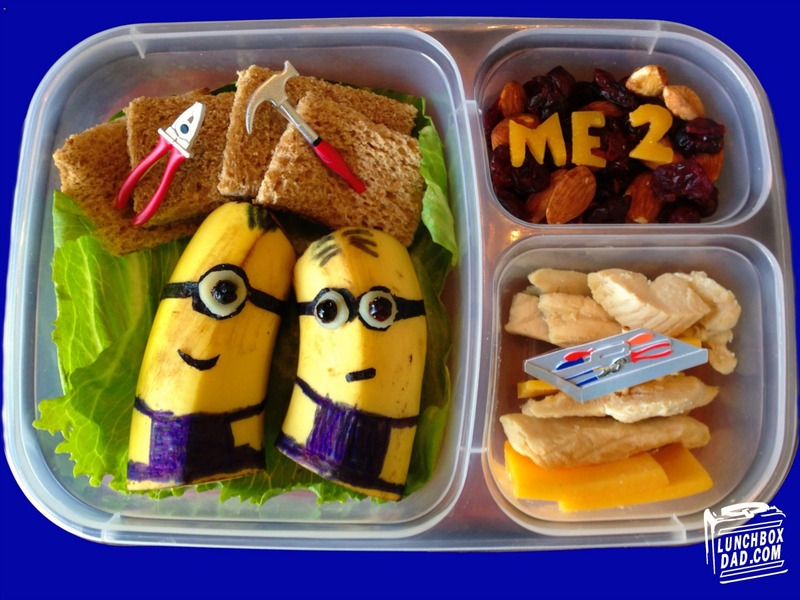 In fact, one of my most popular lunches on this blog is the Despicable Me Minion lunch you see above. Below are the directions so you can make this banana recipe at your own house! If you want to make the lunch, however, you are going to need bananas. My suggestion is to check out Dole's website to see when the Peel the Love tour is coming to your area. It's not just a trip to the store, it's a family event! There's going to be giveaways, recipe ideas, samples, and tons more craziness. Check the map HERE to find a tour stop in your area. Where I live in the San Francisco Bay Area there are stops from Aug 7-9 in Redwood City, Alameda, and a few more places. Chances are, there is a tour stop near you. 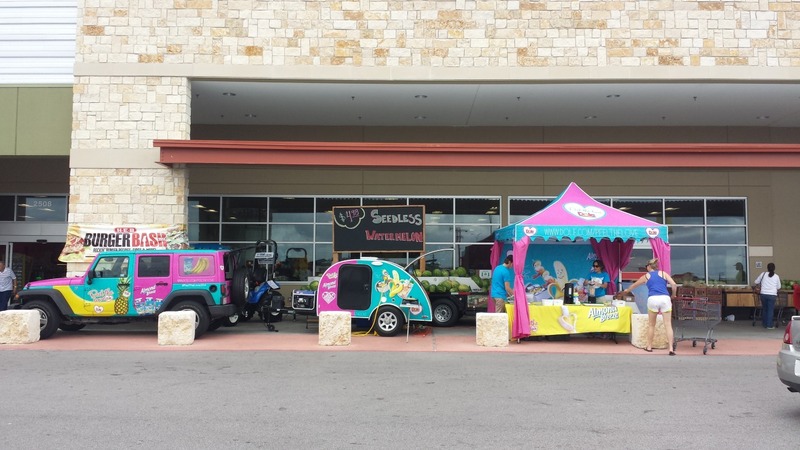 Why not buy bananas for the minion lunch and have some fun at the same time? Back to school is a great time to start making some of the fun recipes you see on my blog and to encourage your kids (and yourself) to eat healthier. The Peel the Love tour could be just the fun event to help with that. 1. Draw blue overalls on the bananas. They are shaped like an "H". Wrap nori goggles around them first, then place white cheese on top, with the raisin pieces put on after that. Moisten the nori on the back to get it to stay on the banana. You may use a piece of toothpick to hold each eye in place if you choose. Finish the bananas by drawing black hair with a marker and mouths as shown. 2. Place lettuce in your container. Put the banana minions on top and place the pieces of bread above them. 3. Use a side dish for the trail mix (I used almonds and dried cranberries). Arrange the cheese letters and number to spell out "ME 2." For simplicity you may use tool stickers in the place of these letters. 4. In another side dish alternative chicken strips and cheese. Tape tool shaped stickers to toothpicks and insert in lunch wherever you want to decorate. Love this! You have such great ideas!